Megavitamin therapy makes use of huge doses of vitamins, always higher than the recommended dietary allowance which assists in the cure of many diseases. 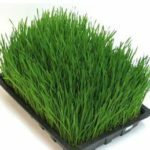 It is typically used in complementary and alternative medicine by practitioners and also used in mainstream medicine for “exceedingly rare” genetic conditions which respond to large doses of vitamins. Historically the understanding and promotion of this vitamin therapy has been advocated by many outstanding MD’s and scientists. True scientific understanding of diet did not occur until the 18th century, beginning with the work of French physicist Rene de Reaumur, who is credited with conducting the initial research of digestive chemistry. 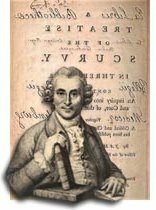 Later in that same century, Reaumur’s work was built upon by chemist Antoine Laurent Lavoisier, who, prior to being guillotined during the French Revolution, provided the scientific foundation for the study of how the body metabolizes food to create energy. The first person to show a direct link between disease and a lack of a specific nutrient was James Lind, a physician in the British navy, who discovered that sailors on long voyages without rations containing citrus fruits developed bleeding gums, rough skin, poor muscle tension, and slow-healing wounds, all symptoms characteristic of scurvy. In 1757, in one of the first controlled medical experiments, Lind demonstrated that when sailors were supplied with lemons, limes, and oranges, scurvy could be prevented. Today, it is well known that scurvy is due to vitamin C deficiency. Christiaan Eijkman, a Dutch physician, is famous for his nutritional research. In 1893 he discovered that a diet of polished (overkvernet) rice causes beriberi, and was able to produce the disease experimentally in birds. He discovered vitamin B. In 1897, Christiaan Eijkman proved that an element in unpolished rice was essential to proper functioning of the nervous system and carbohydrate metabolism, and that a deficiency in that ingredient could cause beriberi and other diseases. In 1929, his research resulted in him sharing the Nobel Prize with British biochemist Sir Frederick Gowland Hopkins for physiology and medicine. The Gerson Therapy is not specifically a cancer treatment but rather a metabolic treatment, one that cleanses while strengthening the body’s ability to heal itself. Not surprisingly, the program is effective against a wide variety of serious illnesses. Dr. Gerson’s approach has been shown, for over seven decades, to greatly improve both quality and length of life in the sickest of patients. Over 50 years ago, it was Toronto physician William J. McCormick, M.D., who pioneered the idea that poor collagen formation, due to vitamin C deficiency, was a principal cause of diverse conditions ranging from stretch marks to cardiovascular disease and cancer. This theory would become the foundation for Linus Pauling and Ewan Cameron’s decision to employ large doses of vitamin C to fight cancer. Over twenty years before Pauling, McCormick had already reviewed the nutritional causes of heart disease and noted that four out of five coronary cases in hospital show vitamin C deficiency. McCormick also early proposed vitamin C deficiency as the essential cause of, and effective cure for, numerous communicable illnesses, becoming an early advocate of using vitamin C as an antiviral and an antibiotic. Modern writers often pass by the fact that McCormick actually advocated vitamin C to prevent and cure the formation of some kidney stones as far back as 1946. And fifty years ago, McCormick “found, in clinical and laboratory research, that the smoking of one cigarette neutralizes in the body approximately 25 mg of ascorbic acid.” His early use of gram-sized doses to combat what then and now are usually regarded as non-deficiency-related illnesses set the stage for today’s 100,000 mg/day antiviral/ anticancer vitamin C IV’s. Dr. Szent-Györgyi depended on thought, as did Pauling, rather than on equipment.” wrote Abram Hoffer. Albert Szent Györgyi was born in Hungary and spent the First World War in the Austrian army. After the war, he studied at Groningen and with Hopkins at Cambridge. C.
Another pioneer in the concept of Megavitamin nutrition was Roger Williams, Professor of Chemistry, discoverer of pantothenic acid (vitamin B5 ), and founder and director of the Clayton Foundation Biochemical Institute at the University of Texas which, under the directorship of Dr. Williams, was responsible for more vitamin related discoveries than any other laboratory in the world. He also developed the concept of Genetotrophic disease. The best word to describe the Dutch physician, Cornelius Moerman, would be “steadfast.” He withstood the strongest opposition of his colleagues during his entire professional life. Even today in the Netherlands, his name remains symbolic, forever connected to nutritional therapy, especially of cancer. 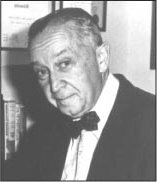 Prior to World War II, Dr. Moerman published his view that cancer is not a local disease, but the tumor is the end stage of the deterioration of the total body. 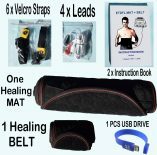 Strengthening the immune system, he said, is the answer to this disease, and nutrition plays the central role. Moerman, a passionate pigeon-fancier, observed that healthy birds did not develop cancer, whereas the weak and malnourished ones did. 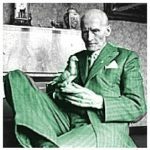 He argued, based on his own experiments with his pigeons, that cancer was a derangement of metabolism, a deficiency of iodine, citric acid, B-vitamins, iron, sulphur, and the vitamins A, D, E and later C. A strictly proper diet, supplemented with these substances, forms the basis of the Moerman therapy. Cutting-edge nutritional science has now caught up with Dr. Moerman’s viewpoint. His principles for the treatment of cancer were, at the time, revolutionary. In September, 1976, Moerman was invited by Linus Pauling to the conference of the International Association of Cancer Victors and Friends in Los Angeles. As the guest of honour, Moerman received an award for his valuable work with cancer patients and for his original approach to the treatment of cancer. Meeting Moerman, Dr. Linus Pauling praised him and considered him to be one of his peers in the fight for the acceptance of nutritional medicine. Wilfrid Shute, M.D. Evan Shute, M.D. In 1933 Drs. Wilfred and Evan Shute were some of the first doctors to use large doses of vitamin E to treat heart disease. 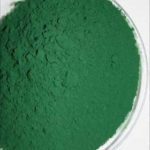 At that time, antioxidants and free radicals were rather obscure concepts in the chemistry of oxidation, far removed from issues of health and disease. Also at that time, using vitamins to treat serious diseases such as heart disease and diabetes was considered by the medical establishment as misguided at best and outright fraud at worst. Yet thanks to the observant practitioners such as the Shutes who were more interested in what helped their patients most, medical researchers became motivated to study it scientifically. The results would speak for themselves. For decades, vitamin E was lampooned as a “cure in search of a disease.” In 1985, Linus Pauling wrote: “The failure of the medical establishment during the last forty years to recognize the value of vitamin E in controlling heart disease is responsible for a tremendous amount of unnecessary suffering and for many early deaths. The interesting story of the efforts to suppress the Shute discoveries about vitamin E illustrates the shocking bias of organized medicine against nutritional measures for achieving improved health.” Dr. Pauling would most likely have appreciated this comment from a recent Harvard Health Letter: “A consistent body of research indicates that vitamin E may protect people against heart disease…The data generally indicate that taking doses ranging from 100 to 800IU per day may lower the risk of heart disease by 30%-40%.” Over half a century ago, the Shute brothers and colleagues showed that, with even higher doses than those, and with an insistence on the use of natural vitamin E, the results are better still. 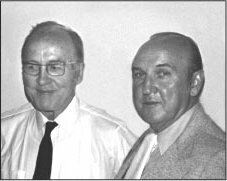 Today’s growing appreciation of the role of d-alpha tocopherol in preventing and reversing cardiovascular disease is due primarily to the Shute brothers. Born in Pennsylvania, Dr. Klenner received his medical degree from Duke University in 1936. After three years post-graduate training to specialize in diseases of the chest, Dr. Klenner continued his general practice. “His patients were as enthusiastic as he in playing guinea pigs to study the action of ascorbic acid. The first massive doses of ascorbic acid he gave to himself. Each time something new appeared on the horizon he took the same amount of ascorbic acid to study its effects so as to come up with the answers’ (Journal of Applied Nutrition, 23: 3 & 4, 1971). Humanity can thank biochemist Irwin Stone for introducing Linus Pauling to vitamin C. Pauling spoke of this highly influential first contact, when Stone sent him “copies of some papers that he had just published, with the general title ‘Hypoascorbemia, a Genetic Disease’. . . The 3,000 milligrams per day that he recommended is 50 times the RDA. 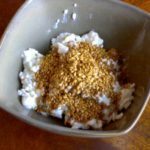 My wife and I began taking this amount of the vitamin … (and) the severe colds that I had suffered from several times a year all of my life no longer occurred. After a few years I increased my intake of vitamin C to 100 times; then 200 times, and then 300 times the RDA (now 18,000 mg per day). “Among the several arguments Irwin Stone presented to support his thesis that the proper physiological intake of vitamin C is 50 or more times the RDA were two that especially impressed me. . . Almost all animal species — dogs, cats, cows, horses, elephants, and so on — have continued to synthesize ascorbate. . . The second fact that impressed me is that animals manufacture very large amounts of ascorbate. The amount manufactured is approximately proportional to the body weight, and, converted to the weight of a human being, ranges from about 2,000 to 20,000 milligrams per day. Irwin Stone concluded that human beings with an average diet are accordingly all suffering from hypoascorbemia, a deficiency of ascorbate in the blood and tissues.” (Linus Pauling in His Own Words : Selections from his Writings, Speeches and Interviews, edited by Barbara Marinacci. NY: Simon and Shuster, 1995). There could be no finer tribute to Irwin Stone than this. 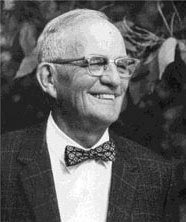 Carl C. Pfeiffer, M.D., Ph.D.
Carl C. Pfeiffer made his first contribution in 1974, contributing 22 papers by the time he died in 1988. He made major contributions to the understanding of trace element and mineral metabolism in the schizophrenias; made a rational division of the schizophrenias into three biochemical groups, and discussed amino acids in medicine. His contributions were of the greatest value. Carl Pfeiffer was one of the original members of the Committee on Therapy of the American Schizophrenia Association. “If there’s a drug that can alter the brain’s biochemistry, there’s usually a combination of nutrients that can achieve the same thing without side-effects,” said Dr. Pfeiffer, founding director of the Brain Bio Center in Princeton, New Jersey (1973). Dr. Pfeiffer spent most of his life researching for the causes and cure of mental illness. He found that biochemical imbalances in the body were the blame for many psychological problems. His study on more than 20,000 schizophrenic patients enabled him to divide schizophrenia into 3 biochemical groupings called histapenia, histadelia and pyroluric 2, 3. Dr. Pfeiffers other books include Mental and Elemental Nutrients, The Healing Nutrients, Dr. Pfeiffers Total Nutrition, Nutritional Science and Cookery, and Neurobiology of the Trace Metals Zinc and Copper. His contributions to Megavitamin therapy live on through his writings, the clinics he inspired, and the annual Society of Ortho-molecular Medicine lecture that bears his name. 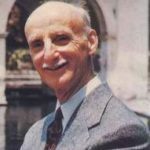 In addition to two popular books on supervised fasting, Dr. Cott wrote Dr. Cott’s Help for Your Learning Disabled Child: The Megavitamin Treatment and was a frequent contributor to the Journal of Megavitamin Psychiatry. His papers on Controlled Fasting Treatment for Schizophrenia and the Megavitamin Approach to the Treatment of Learning Disabilities were presented at the Nutrition and Mental Health Hearing before the Select Senate Committee on Nutrition and Human Needs in 1977. Megavitamin therapy describes the practice of preventing and treating disease by providing the body with optimal amounts of substances which are natural to the body. Two-time Nobel Prize winner, and molecular biologist, Linus Pauling, Ph.D., coined the term “Orthomolecular” in his 1968 article “Orthomolecular Psychiatry” in the journal “Science”. Pauling described “Orthomolecular Psychiatry” as the treatment of mental disease by the provision of the optimum molecular environment for the mind, especially the optimum concentrations of substances normally present in the body. It was a natural progression for Pauling, who had identified sickle-cell anemia as the first molecular disease and subsequently laid the foundation for molecular biology, to then develop a theory that explained the molecular basis of vitamin therapy. Pauling later broadened his definition to include Megavitamin therapy, which he defined as “the preservation of good health and the treatment of disease by varying the concentration in the human body of substances that are normally present in the body”. He stressed the adjective Megavitamin is used to express the idea of the right molecules in the right concentration. Pauling firmly believed that daily supplementation of vitamins in optimum amounts, in addition to following a healthy diet, was the most important step that anyone could take to live a long and healthy life, and by following his own advice, he lived productively for 93 years. “Professor Pauling as always is ahead of his time. The latest research on vitamin C substantiates his twenty-five years of advocacy and investigation on the benefits of vitamin C.” J. Daniel Kanofsky, MD, MPH, Albert Einstein College of Medicine. Dr. Josef Issels’ roots were in the German tradition of ‘Naturheilverfahren’ (natural practice). Because of his well-known professional skills, his kindness, and relatively high rate of survivors, many cancer patients in the terminal stage came to consult him. In 1951, one wealthy and grateful patient funded his private clinic, the Ringbergklinik in Rottach-Egern (Bavaria) with 36 beds. Issels’ successful work continued until 1960, when he was arrested by the German ‘Kriminalpolizei’ on the instigation of his medical opponents. He had to close down his clinic for years, in spite of a report from an independent scientist who had concluded that, of 252 terminal cancer patients with histologically proved metastases, 42 had survived for at least five years (17%) with the Issels therapy. For terminal patients, such a score is disproportionately high. Issels believed that cancer was the end stage, the ultimate symptom, of a lifetime of immune system damage which had created an environment for the tumor to grow. Issels argued that conventional therapy just looked at the tumor without recognizing this longtime preconditioning period. Just cutting out or irradiating the tumor “mit Stahl und Strahl” (“with scalpel and radiation”) was not eradicating cancer. Instead, Dr. Issels saw the body as having great potential to heal itself. Good nutrition and a clean environment were central to his therapy. 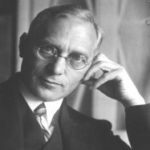 Like Dr. Max Gerson, he recognized the importance of detoxification. In the end, Issels was proven to be right. From 1967 to 1970, Professor J. Anderson of King’s College Hospital and member of the World Health Organization inspected Issels’ reopened clinic. He confirmed the highly significant survival rate of Issels’ terminal cancer patients. His legacy is continued by the work of his wife, Ilsa and his son Christian. Dr. William Kaufman was among the very first physicians to therapeutically employ megadoses of vitamin B3 (niacin, or niacinamide). He prescribed as much as 5,000 mg of niacinamide daily, in many divided doses, to dramatically improve and restore range of joint motion in arthritic patients. This groundbreaking work remains important to this day. In his 1949 book, The Common Form of Joint Dysfunction, Kaufman published the details of his niacinamide arthritis treatment, which also incorporated the use of vitamin C, thiamin, and riboflavin, all in large doses. He kept meticulous patient records that repeatedly verified the safety and effectiveness of megavitamin therapy. David Horrobin was one of the most original scientific minds of his generation. His study of human physiology lead him to investigate the role of fatty acids and their derivatives in human disease. He applied his vast knowledge of lipids to investigate their therapeutic potential in medicine. David was a scholar of Balliol College, Oxford, where he obtained a First Class Honours medical degree. To this he added a clinical medical degree and a doctorate in neuroscience. He was a fellow of Magdalen College where he taught medicine alongside Dr. Hugh Sinclair, one of the pioneers in the field of essential fatty acids. After further research on EFAs at the universities of Newcastle and Montreal, he became increasingly fascinated in lipid biochemistry and its application to human disease. a forum for the dissemination of new ideas in medicine. 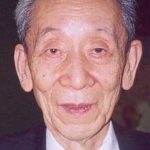 He was also the founder and Editor of the journal Prostaglandins, Leukotrienes, and Essential Fatty Acids. He was a prolific writer who authored and edited numerous books on a wide range of subjects, as well as contributing to over 800 scientific publications. He served as Medical Adviser and President for the Schizophrenia Association of Great Britain. He also served on the board of the International Schizophrenia Foundation from 1998-2003. Dr. Horrobin was a favourite speaker at the annual Nutritional Medicine Today Conference, where his presentations were models of clarity and logic. Dr. Humphry Osmond’s remarkable medical career included decades of distinguished psychiatric practice and a prodigious output of writing and research. He is widely recognized as a pioneer investigator into the chemistry of consciousness. 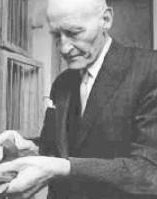 Along with Dr. John Smythies, Osmond developed the theory that schizophrenics suffer due to endogenous production of an adrenalin-based hallucinogen. This led to the Hoffer-Osmond Adreno-chrome Hypothesis in the early 1950s, the very origin of Megavitamin therapy. The popular press may today remember Humphry Osmond for coining the term “psychedelic,” but countless thousands of grateful patients will remember him as the co-discoverer of niacin therapy for schizophrenia. Of all the medical mavericks, Hugh Riordan was one of the most knowledgeable, both as a maverick par excellence and as an historian of mavericks. Hugh was an Megavitamin fighter, who fought hard and consistently on behalf of Megavitamin concepts. He was challenged legally when he wanted to treat his patients with high dose vitamins in the hospital. He won. He was the first to demonstrate how large doses of vitamin C are chemotherapeutic for cancer patients. He was a pioneer in establishing the new vitamins-as-treatment paradigm. “We worked together on the editorial board of the Journal of Megavitamin therapy, and on the board of the International Schizophrenia Foundation. Hugh joined the editorial board of JOM in 1991, then became Associate Editor in 2000. He published several books, including three volumes of Medical Mavericks, and about 70 clinical and research reports. His main work had to do with the schizophrenic syndrome and with the treatment of cancer using nontoxic vitamin C chemotherapy. Hugh was the leader in making available to cancer patients a treatment that is effective, safe, economical and very tolerable. Few oncologists have ever seen these advantages unless they visited Hugh’s clinic. 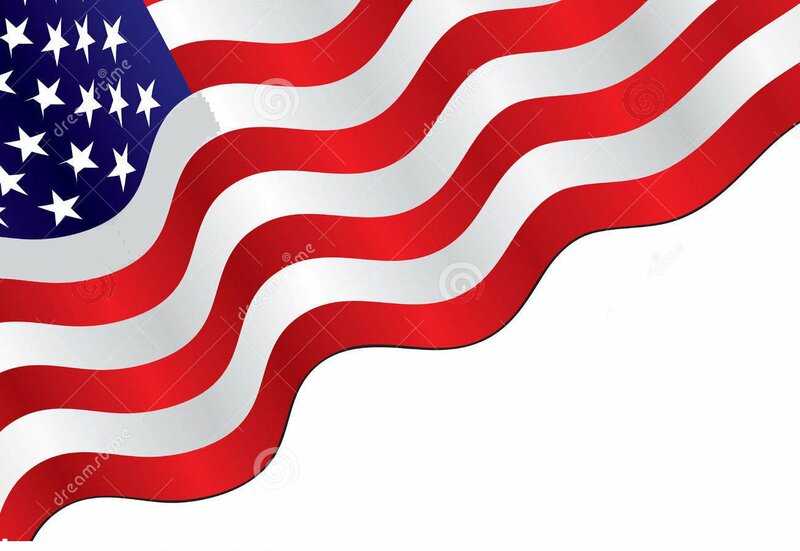 The vitamin C intravenous chemotherapy studies established so well by Dr. Riordan are being continued at the University of Kansas and McGill University, Montreal. In 2002, Hugh was honored by International Society for Megavitamin therapy with the “Megavitamin Physician of the Year” award. He worked tirelessly, founding and developing the Center for the Improvement of Human Functioning International Inc. as a superb treatment center.” This year, the Center celebrates its 30th anniversary. Hugh’s dedicated staff of more than 70 like-minded medical mavericks continue their founder’s pioneering work. Abram Hoffer was an internationally recognized physician, author, medical researcher and pioneer in the use of vitamins and nutrients to treat disease. Dr. Hoffer has spent the past five decades conducting research related to the practice of Megavitamin therapy, which emphasizes the use of nutrients in optimum doses for the treatment of a wide range of diseases. His medical discoveries have been the topic of more than a dozen books and literally hundreds of research papers. In 1952 he and his colleagues began developing a more effective treatment for schizophrenia that involved a biochemical hypothesis. They tried two nutrients: vitamin C and vitamin B3. He found that we could halve the two-year recovery rate of patients just by adding these vitamins to the program. This was the first major systematic attempt to use large dosages of vitamins therapeutically. In 1955 he also discovered that niacin lowered cholesterol levels. In 1978, Joel D. Wallach, BS, DVM, ND discovered the first agreed upon CF [cystic fibrosis] in nonhumans; the test animals were NASA monkeys; the diagnosis was agreed to by experts from Johns Hopkins Medical School, Emory University and the CF Foundation. Once they realized that this wasn’t a genetic accident but CF was a recreatable selenium deficiency, they fired Joel D. Wallach within 24 hours’ notice, Dr. Paul de St. Agnese stated that “if anything important was to be discovered on CF, it would be in his NIH laboratory.” Since 1978, we have treated 450 CF patients with excellent results; we have essentially cured infants three months old who started on the program (they are 12 years old today) and have helped CF women have healthy pregnancies and normal babies! [Wallach goes on to cite additional evidence that cystic fibrosis is caused by a selenium deficiency and throughout his books reveals methods for treating CF patients.] – Joel Wallach, DVM, ND, and Ma Lan, MD, MS, Let’s Play Doctor!, p. 77. 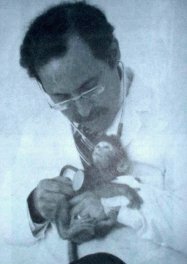 Wallach was a hard-working Veterinarian and research scientist, his first major project a cause-of-death study for thousands of zoo animals. His research then expanded to cause-of-death in humans, and he eventually became an ND (Naturopathic Doctor) in order to treat humans with nutrient-based therapies used by Vets and farmers for their animals. His patients “were treated like dogs, but they got better.” He particularly wanted to treat cystic fibrosis cases, as no one else in the field was willing to accept a new paradigm for the disease. As he explains in his books, there are no health insurance policies for farm animals — Vets and farmers are very familiar with the common deficiency causes of most disease, and blend supplements into farm feed to prevent such disorders from occurring in the fist place. Wallach is very aware of simple deficiency diseases being passed off as genetics or other complicated theories. He wrote several books covering the vitamin and mineral deficiencies that cause these “genetic” diseases in humans. So am I saying that breast cancer and OCD are deficiency diseases? Yes (to OCD) and no (to cancer), but they certainly aren’t “genetic” in nature. Supplement Megavitamin Therapy with a Zapper Digital Professional for amazing results!